After the murder of his mother Johnny Lee Belamo is whisked away to a private boarding school in Massachusetts. While there he confronts deep buried family secrets, family he has never met and abilities he can’t control. He also has to be wary of his mother’s murderer and plots to control, kidnap or kill him. All while avoiding the school bully and passing English. Don’t try to force it. Inspiration is a bad house guest. It shows up and leaves when it wants to. Use it when its there, edit when its not. Allow your characters to help you write. If it feels odd or wrong than it probably is. Don’t be afraid to share your work. You can’t improve with out feedback from others. 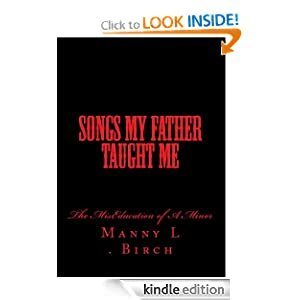 Manny L Birch was born and raised in New York City. He has fostered a love of reading, writing, music and dance since he was a child. He attended Ithaca College in upstate New York where he began his first novel. He is currently working on the sequel to the MisEducation of a Minor as well as a few other projects. I had a recurring dream about it when I was in college. I think it was my brain’s way of adjusting to the completely new environment. After a couple nights, I started to write down the details. After a while the characters started to take on a life of their own and I became truly invested in finding out what was going to happen to them so i kept writing.